A tower in your backyard? Well, you wouldn’t be able to broadcast… that would be against the FCC’s regulations unless you had a license. But don’t dismiss the idea of a tower in your yard. Good antenna reception relies on clear line of sight, and the higher up you get the better reception you’ll get. It’s not just the trees you can see that are the problem on the ground, it’s actually the curvature of the earth that gets in the way of your getting all those really distant stations. If you put an antenna up high… I mean really high like forty or fifty feet, you’re going to be able to see signals that simply get absorbed by the earth as they get closer to you. A tower will also help you get better cell reception. Putting the cell booster’s antenna up there is going to make it a lot easier to pull in a signal from a tower in the distance or even on the other side of a hill. If you’re down at the bottom of your street, a really high tower may be your only choice. Of course, you’re going to be putting up a pretty big thing, so it’s not a bad idea to find a location on your property which won’t get the neighbors all upset. Unless there are special ordinances in your town or city, you won’t have to worry about putting special lights on it or getting special permits unless it’s 200 feet tall or higher, and let’s be honest, that might be a teensy bit much for your average home to have. On the other hand, you are going to have to worry about grounding if that tower is the tallest thing on your property, so consult with your local city hall for grounding ordinances and don’t skimp on getting the proper solution installed. So, you’re all primed to get a tower in place, but then you wonder, where can I get such a tower? You’re in luck, friend, because of course SolidSignal.com, the people who keep the lights on here, has a whole department full of folks who can give you a custom quote on a tower system that’s going to work for you at home. We carry all the top brands and can design a system that will work perfectly to keep you getting all the signals you want. We’ll give you a custom quote that includes shipping and all the items you’ll need to get a tower installed at home or wherever you need it. 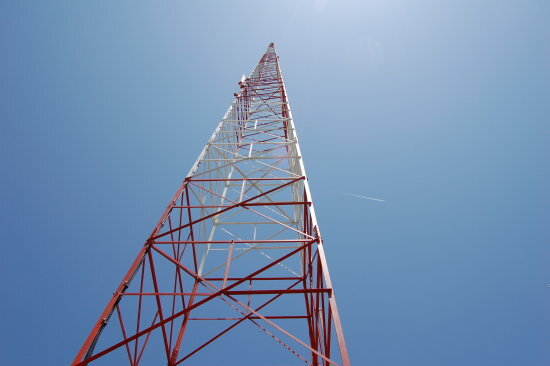 We can even quote you on the mounting equipment that you’ll need for the antennas you plan on using, and the guy wires you’ll need to make sure a tall tower stays right where it should stay. Why not give us a call at 877.312.4547 or send an email to info@solidsignal.com with your needs, or even just let us help you figure out what those needs are? Does your school have an over-the-air antenna?